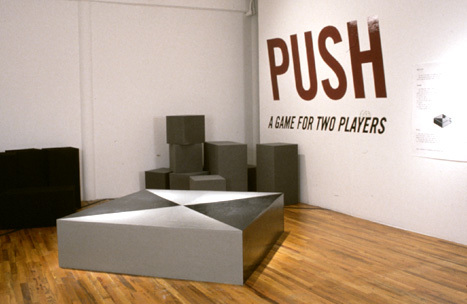 Two players take turns selecting and pushing large-scale foam blocks onto a raised platform. Your goal was to push off your opponent's blocks while keeping yours on the platform at the end of the game. 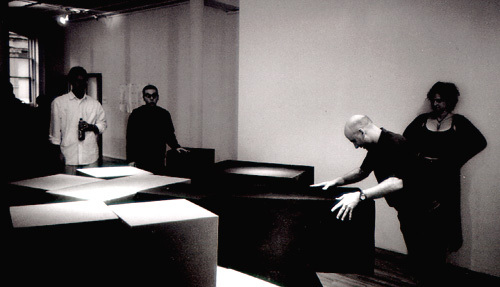 The awkwardness of the large, heavy blocks made the strategic play deeply physical, implicating the players' bodies in the labor of the game. Thanks to Artists Space for commissioning the installation.